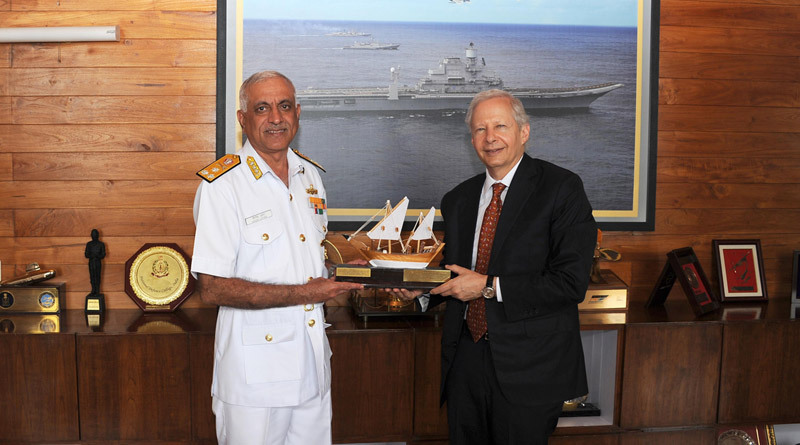 Mumbai, Sept 24: The US Ambassador to India, Kenneth I Juster, accompanied by Edgard D Kagan, US Consul General at Mumbai and two members visited Headquarters, Western Naval Command on 22 Sep 18. The US Ambassador held interactions with Vice Admiral Girish Luthra, Flag Officer Commanding-in-Chief, Western Naval Command and also visited a guided missile destroyer of the Western Fleet – INS Kochi. The Indo-US naval cooperation has grown by leaps and bounds over the last two decades. India and US annually conduct a maritime dialogue. Over the years this relationship has only grown stronger. Various exercises such as MALABAR, goodwill visit by ships and high-level delegation visits have added impetus to the burgeoning Indo-US friendship. Both navies have committed towards ensuring maritime security in the Indian Ocean region. 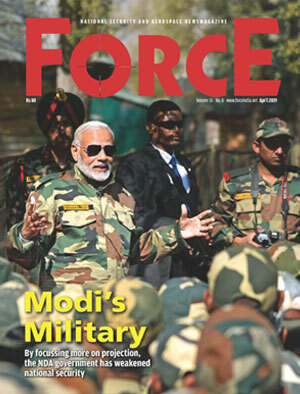 US and India have come a long way in institutionalising their defence relationship. Navies of both the countries share converging views on maritime areas of concern, Anti-Piracy, Humanitarian Assistance and Disaster Relief. The current visit by the US ambassador would further strengthen the existing bonds between the two navies.